Thank you my friend, I very much appreciate it. He did indeed, we should all learn from his wisdom. We should, he was wise then and just as wise, if not more so now. 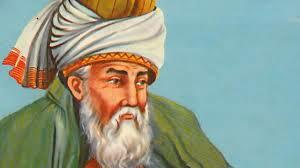 I too love Rumi, I am amazed with how much wisdom he imparts in such small quotes. With regard to Bernie Sanders I wholeheartedly believe that he is the candidate we need. He may be called a socialist or social democrat, but whatever he is called he still makes very good sense. I personally don’t see any other candidate that has the commonsense that Bernie has, nor a track record that has shown he does not flip-flop. He has had many of the same beliefs that he expresses now for over 35 years. That to me is a person of conviction.